← Bucket List Tour: Heaven 17 + DEVO | USA | 2014? The Tourists were revealed to me via their video for their New Wave cover version of “I Only Want To Be With You” on the proto-MTV weekly series, Rockworld. I was immediately smitten by the excellent synthetic backbeat the track sported as well as the dulcet tones of singer Annie Lennox. Of course, the song was a classic but I enjoyed this new coat of paint very much, so I took my teenage lunch money and made a bee-line for the friendly neighborhood record store to make it that week’s purchase. It was an instant power pop classic to my young ears and that opinion hasn’t changed in 33 years. Our friends at Epic Records had signed the group and licensed the disc, but not without some changes I would discover later. Here’s the first copy I owned. When I bought this album, it pretty became my favorite New Wave Pop album. Ever. There was a lot of retro sixties DNA in this, and not just in the Dusty Springfield cover. I always thought songwriter Peet Coombs sounded pretty Dylanesque, but it’s possible he may have been aiming for Marty Balin of Jefferson Airplane! Fortunately, Annie Lennox sounded nothing like Grace Slick! The caliber of songwriting was also miles above that of Jefferson Airplane. I didn’t find out until nearly 40 years later, but there’s a reason why I had only ever heard “White Rabbit” and “Somebody To Love” for my whole life! These songs are packed with hooks, memorable melodies, gorgeous harmonies and clean, uncluttered production. 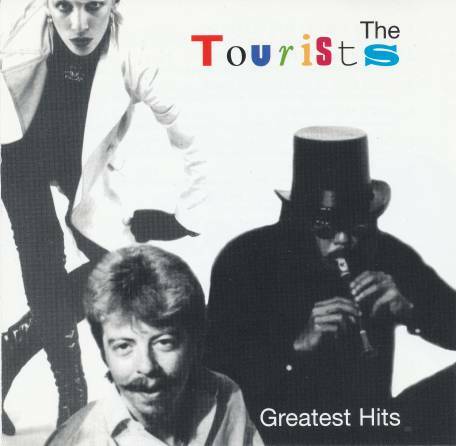 The strange dynamic of The Tourists was that Peet Coombs was the songwriter, but he was uncomfortable being the traditional frontman, and Dave Stewart and Annie Lennox [then a couple] were left giving the interviews and doing the press rounds for the band. But it says something that the only track here that sounds weak and tentative is “Circular Fever,” a song written by Dave Stewart. Clearly, their potential had not yet begun to be tapped in the context of this band. This album was so amazing, that I quickly hit the import section of Record Mart Warehouse and bought the band’s debut album as a costly $9.99 import. It was then, that I noticed that some funny business had happened. As per usual, US Epic had crafted a “best of breed” compilation that was “Reality Effect” in name only, with some significant changes under the hood. Two tracks from the Conny Plank produced debut, “The Tourists” have been introduced into the flow [“Blind Among The Flowers,” “Fool’s Paradise”], the 7″ version of the single “The Loneliest Man In The World” was added, and the last two tracks on side two of the UK album, were excised. But it took years to find out exactly what had happened. 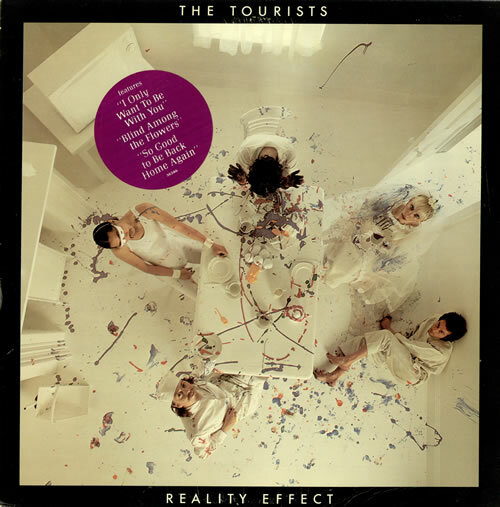 Although I had the UK edition of “The Tourists” I have never to this day found a UK copy of “Reality Effect.” In spite of the highest level of interest unabated in almost 35 years. What I did eventually get, some years later, was a Portuguese pressing of the Logo edition of the album that looked [and sounded] like a pirate copy. The last two songs were good, but not great tracks that revealed that whomever at Epic made the changes, they knew what they were doing. Epic had taken a great album and made it unimpeachably classic with their meddlesome substitutions. Of course, that doesn’t mean that I would turn my nose up if a UK Logo pressing manifested itself in my path! Far from it! In fact, after Dave and Annie turned heads as Eurythmics, I had been waiting for Logo/RCA UK to work that action and fully exploit The Tourists’ back catalog. Sadly, that didn’t happen except for this little item. When this album manifested itself in the wake of the “Touch” album by Eurythmics, I noted the bitter irony of the title, but didn’t bite until the early 90s, when the title made the leap to CD. This was, for years, the only Tourists music on CD. A painful selection, with many grievous omissions, but better, as they say, than nothing. 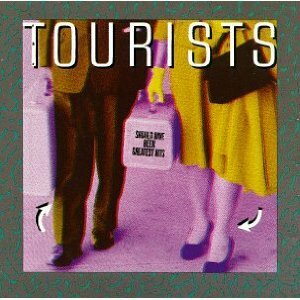 And for most of the 90s, this was my go-to disc for hearing The Tourists. That changed in 1997 when during a rare visit to the Virgin Megastore in Orlando I found this amazing CD on RCA’s Camden budget line. What it lacked in design [it has truly, the worst cover ever to grace a CD], it made up for in track sequencing. 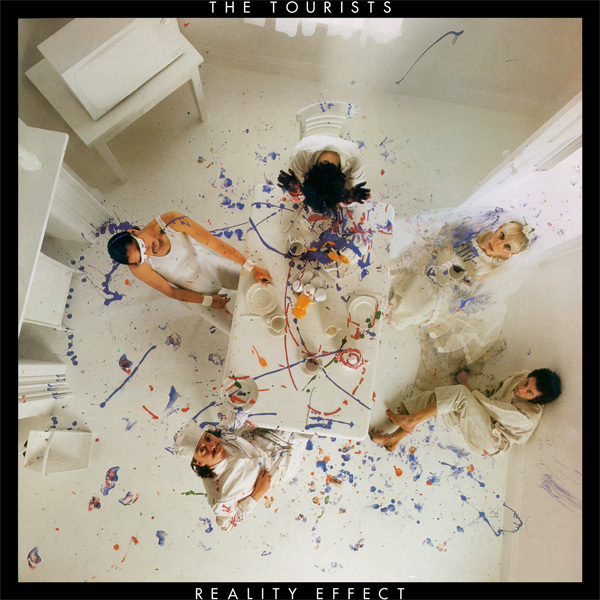 Equal amounts of all three Tourists albums [and even a B-side] figure in the program and all but two of “Reality Effect’s” original UK tracks are included in the generous program. To date, it is the closest thing to a CD of the UK Logo edition of the album on disc. It had no competition, until ten years later when the next disc in this series dropped. With my budget what it is, the purist in my desires this CD but really, all of the cuts are on the Camden CD I already have. All I have to do is program it to play in that sequence. That didn’t stop me from exhorting friends to buy this, however. I should bits before it becomes a typically three figure OOP CD from a small reissue label. And that brings us full circle to the beginning. It’s 2013 and to date, there still isn’t a real CD of the UK Logo edition of “Reality Effect” in release. Of course, that was one of the first REVO CDs I created when I got CD-R capability in the late 90s, but even that CD [enhanced with live BBC transcription disc bonus tracks from 1980] is looking long in tooth and ready for a remastering. I’m still holding out for RCA to pony up the real thing. This entry was posted in A Young Person's Guide, Core Collection, Scots Rock and tagged Annie Lennox, Dave Stewart, Peet Coombs, Reality Effect, The Tourists. Bookmark the permalink. This is one of my “core groups” in that I want every unique thing ever made from them and whenever I see something I buy it. Alas I was too poor when the BBC transcription disc came out but I think I have the REVO solution (and looking forward to a remastering). Your comments are spot-on but like John Foxx, this is one of those rare artists I want to hear and have *every* individual song, remix, re-version etc. chas_m – Well, in all honesty I only have a CD bootleg of the transcription disc! The real deal [if I ever saw a copy] would be mid-three figures for all the Annie Lennox collectors, which I no longer am, sadly. As far as The Tourists, collecting them is fairly easy. No remixes and only a single A-side [“The Loneliest Man In The World”] that is a different production from the LP version. 3-4 Non-LP B-sides and Bob’s yer uncle [whatever that means]. I’ve got every British single vinyl, but none of the foreign releases. There’s a cool pic disc of “The Loneliest Man In The World” that’s pretty inexpensive on discogs.com. And a Japanese version too! Hmm [steeples fingers].